Essential Air Service – Africa provides air medical evacuation and first response emergency medical treatment across the SAHEL region. EASA works in partnership with regional authorities to provide essential Medical Support, Political Governance, Emergency Response and Logistic Reach. 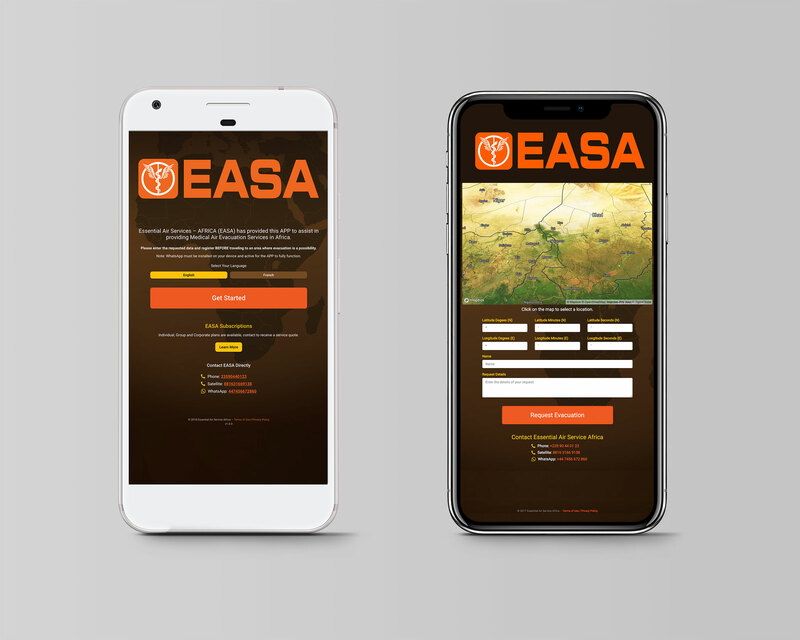 Pomp Productions worked with EASA to design and develop their Android, iOS and website evacuation communications system. Pomp leveraged WhatsApp (commonly used in the SAHEL region) to facilitate communications between evacuees and the EASA command center. Both the App and Website provide geolocation utilities and to help pinpoint location and expedite requests. The App is available in both English and French.